ClearCorrect™ vs. 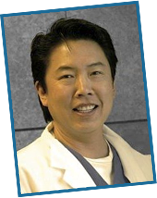 Traditional Braces - Dr. Gary G. Fong. ClearCorrect and traditional metal braces can each treat a wide range of common bite conditions and teeth alignment problems, but for many patients ClearCorrect also offers numerous advantages over standard braces. Hayward dentist and ClearCorrect provider Dr. Gary G. Fong can help you determine the most effective teeth straightening treatment for your unique needs. To schedule a consultation for yourself or your teen, please call 510-582-8727; Dr. Fong welcomes patients from Hayward and the surrounding Castro Valley, San Leandro and Union City areas. The series of aligners used in ClearCorrect treatment are custom-made from smooth, dental-grade plastic to fit snugly over your teeth. Unlike metal braces, ClearCorrect has no uncomfortable wires or brackets to irritate the inside of your mouth. And because your dentist provides you with a progressive series of aligners that you change, ClearCorrect requires no painful tightenings or adjustments. Traditional braces come with a list of foods that must be avoided during treatment, as many foods can become lodged in the brackets or damage the metalwork. Although ClearCorrect aligners must be worn throughout the day to properly shift your teeth into alignment, they are removable. This allows you to enjoy your regular diet and makes it easy for you to adhere to your normal dental hygiene routine. The brackets of standard braces can trap food particles, and with time this can contribute to tooth discoloration and the accumulation of plaque. With ClearCorrect, you simply remove your aligners for meals and cleaning. You continue to brush and floss as you normally would, and your aligners are also easy to clean with brushing and rinsing. More time is something everyone desires, and ClearCorrect offers patients less time in a dental chair than traditional braces. Braces requires frequent visits for adjustments, but ClearCorrect limits your dental appointments to brief follow-ups intended to provide you with your progressive series of aligners and monitor your progress. ClearCorrect’s clear, form-fitting aligners are also virtually invisible as they bring your teeth into position. Most people won’t even notice you’re undergoing treatment. If you live in the Hayward, Castro Valley, San Leandro or Union City, California, areas and would like to learn if ClearCorrect is right for you or your teen, please contact Dr. Gary G. Fong to schedule your personal consultation.